Russian court unfreezes AFK Sistema’s assets in dispute with Bashneft | Russian Legal Information Agency (RAPSI). 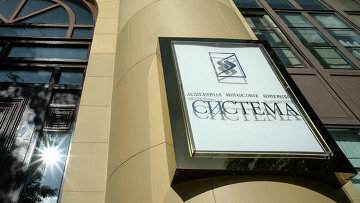 MOSCOW, March 19 (RAPSI) – The Commercial Court of Bashkortostan has unfrozen assets of AFK Sistema and Sistema-Invest arrested in the course of a 131.6 billion rubles ($2.2 billion) lawsuit filed against the companies by Bashneft and Rosneft oil corporations, the court documents read. In March, Bashneft and Rosneft asked the court to recall the motion seeking the recovery of 131.6 billion rubles. Earlier this month, AFK Sistema stated that it had transferred the final 40 billion rubles ($695.6 million) in accordance with an amicable agreement signed with Bashneft, Rosneft and Bashkortostan authorities, thus completely fulfilling its obligations. The Commercial Court of the Republic of Bashkortostan approved an amicable agreement in a 170.6-billion-ruble dispute (about $2.9 billion) between AFK Sistema, Sistema-Invest, and Rosneft oil corporation in late December 2017. On June 23, 2017, the Commercial Court of the Republic of Bashkortostan seized 31.76% of MTS mobile operator’s shares owned by AFK Sistema and its subsidiary Sistema-Invest as well as 100% of Medsi Group’s shares and 90.47% of Bashkir Power Grid Company’s (BESK) as part of the lawsuit filed by Rosneft, Bashneft and Republic of Bashkiria. 12:59 19/03/2018 The Commercial Court of Bashkortostan has unfrozen assets of AFK Sistema and Sistema-Invest arrested in the course of a 131.6 billion rubles ($2.2 billion) lawsuit filed against the companies by Bashneft and Rosneft oil corporations.